The Association was founded in 1879 and consists of eight branches covering the original county area of Warwickshire. Currently we have a growing membership with over 550 members. 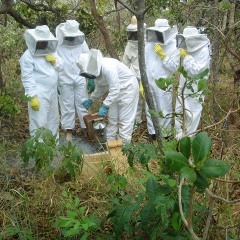 Our Association is affiliated to the British Beekeepers Association. We are an overseeing Association and do not handle memberships directly. Please contact your local Branch for information on becoming a member. 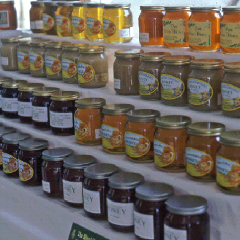 The Association hosts an Annual Honey Show, disseminates information and organises a programme of lectures and seminars. 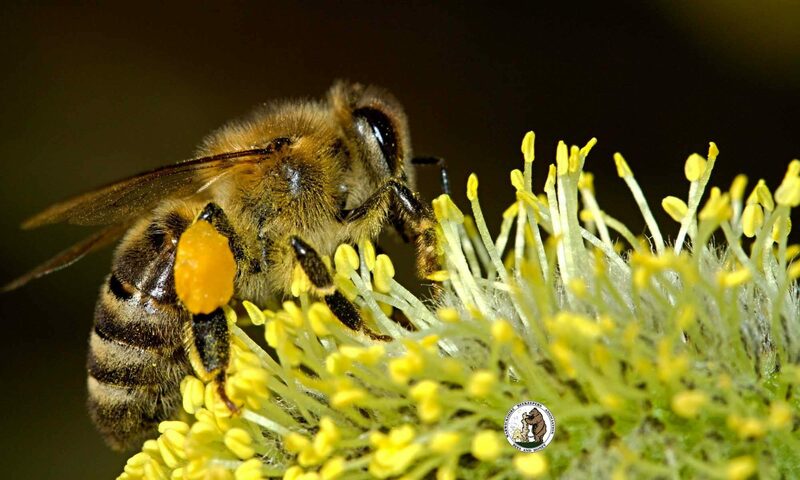 We are a charity run by a small group of volunteers, and our charitable aims, in line with our National Association, the BBKA, are to promote and further the craft of beekeeping and to advance the education of the public in the importance of bees in the environment. Most of our members are hobbyist beekeepers (keeping between 1 and 3 hives in their gardens or at local apiary sites), but they often have honey for sale on a small scale. The types of honey produced, even within the boundaries of Warwickshire, can be many and varied, depending upon the flowers that the bees have been visiting and associated with the time of the year. Most honey is multi-floral in nature, but it can also be a single varietal such as borage (star flower)and; light, medium or dark in colour and; clear or set in consistency. Our annual County honey show demonstrates this range extremely well, but a selection of honey from beekeepers within a Branch, can cover an array of tastes and colours which may surprise those who usually buy their honey through large retailers. Most of our Branches organise introductory courses for new beekeepers, or those who are interested in learning more about honey bees. These are usually very popular, and are often over subscribed. Courses tend to be run before the start of the beekeeping season in April, and can take either the form of a full day, or a series of evenings. Full details can be found on the calendar or through branch secretaries. 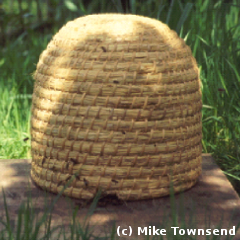 Skeps are traditional straw baskets, which beekeepers used to keep bees in prior to the introduction of the moveable frame hive. Nowadays they are used to collect swarms, and we have some members who are keeping this traditional craft alive, and are able to provide demonstrations/courses on request. We have a 6m x 3m tent, and a series of information/display boards, which can be used at Branch or County level, to provide an educational presence at country/village shows, education days and agricultural events. As part of our talks offering, we are able to set up frames from within a working hive, to show the public or small groups, what goes on within the hive; what the queen bee looks like; how she differs from her workers, and how to spot a male or drone bee. Beeswax foundation can be rolled around a wick to produce fine, slow, and clean burning candles. These are simple and fun for children and adults alike to make; we have members who are able to demonstrate this craft on request. Busy bees are flying in and out of one of the windows at the Market Hall Museum in Warwick. Visitors have been able to view their normally secretive world by observing their hard work and industry through the glass walled hive. The bees are still working hard for us to today flying from their historic viewing hive which, apart from cosmetic repair, is much the same as it was when first installed nearly 80 years ago. Visit Our Warwickshire to find out more about local history and the bees in the museum.